I was evaluating armyworm injury in plots and noticed there was quite a bit of panicle blanking not caused by armyworms. When armyworms injury panicles, they feed on the rachis of panicle branches, causing those branches to dry out. 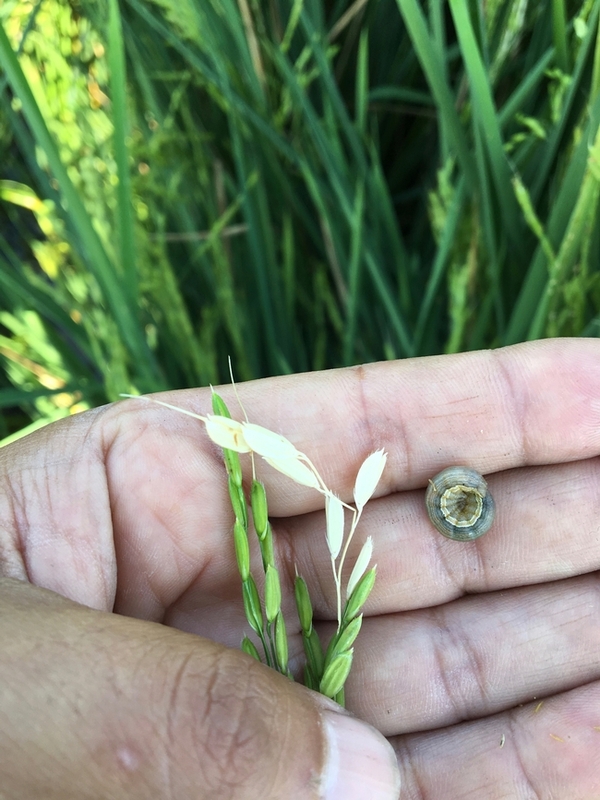 Sometimes the kernels in those branches may be partially filled, but since they stop receiving nutrients and water due to the biting injury of the armyworm, they dry and turn straw colored. Most of the time, the branches brake off at the point of injury and can be seen hanging on the panicle. If you look closely at where the rachis is broken, you can see the biting mark of the armyworm. The other blanking I was noticing was a little different. It was mostly on the panicles under the canopy, although some could be seen in the panicles on top. Blanked branches turned white, almost as if bleached, and kind of translucent. This might be because these panicles were young. Most likely they will dry out and also turn straw color. None of these injured branches were hanging on the panicle and no biting marks could be noticed. I suspect this blanking was caused by high temperatures. 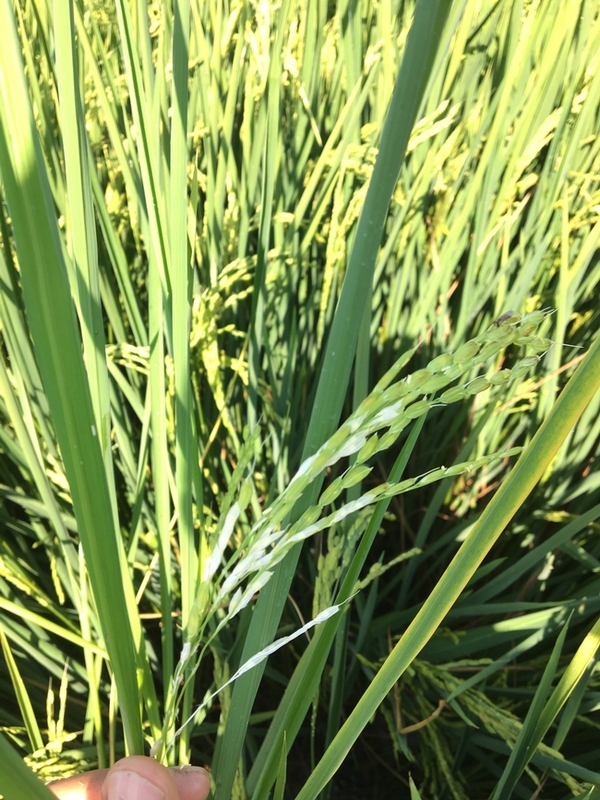 Temperatures above 104 F during flowering dry the germinating pollen tube before fertilization and cause blanking. It seemed that some areas in the field were more affected than others. Going back to armyworms, I found very little injury in my Butte County trial. Two trials in Colusa had no injury. The number of armyworm moths caught in the traps as of 8/24 have come down again. I suspect we won't see the numbers climb up again, therefore the risk of armyworm injury now is very low. Click on the images below to see a close up of armyworm injury (left) and high temperature blanking (right).